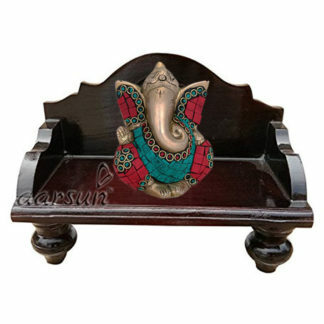 The Pooja Chowki is popularly used for placing Laxmi Ji Idols and Lord Ganesh Idols. 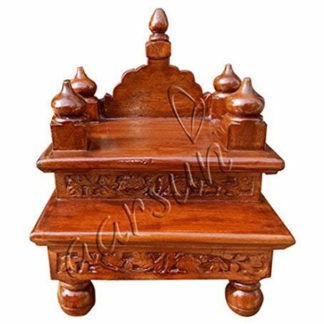 It is made from premium quality Sheesham Wood without any use of an additional material which makes it even more captivating. The finishing (final shade) is made available in Natural Brown ( as in Mandir Model No. 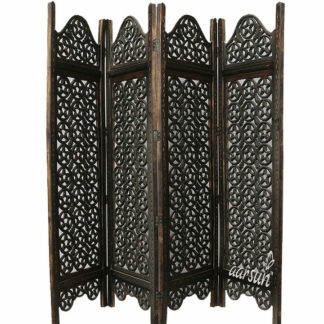 175 in Sheesham) or in Dark Walnut Shade as depicted in the adjacent images. 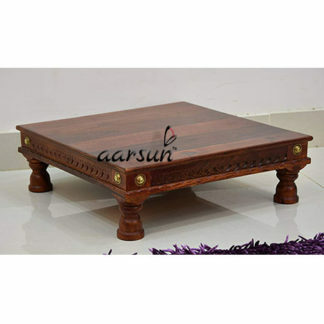 Moreover, the unit can be customized in your size requirement. Good material. Product exactly as seen in pic. Delivered well before time.